I met my old friend few days ago, she, Anazkia, is a well known blogger who is actively writing in many social activities and media networks. Despite of her background as a labour in Malaysia I respect her so much for her other skills and intellectual in many things. I used to call her Anaz, we know each other from blogging in 2009 but our first met was in 2012, in Jakarta. 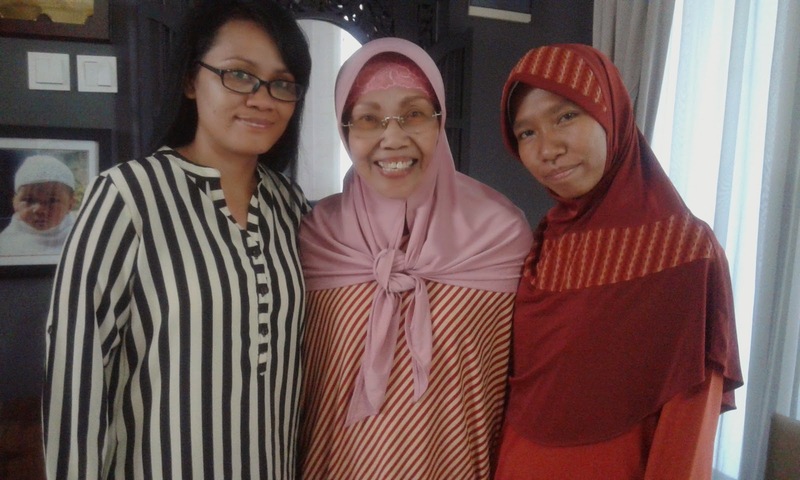 However, few days ago Anaz introduced me to her friend who was also a blogger, Bunda Yati. I don't usually care about someone's age, but this time I want to mention about it. Bunda Yati, at age 70 approximately, she has a kind of 'unusual' spirit from the people I know who have the same age like her. I just knew straight away from the first time we met, she was an energetic, friendly, and optimist woman. She made me feel welcome and comfortable in her daughter's cozy house. Our short introduction continued on the following day in a seminar. We met again, actually we went together to the seminar that morning! The longer time I was with her the more I knew how passionately this woman was. Her passion of blogging is inspiring many others young women, "I encourage my children to have a blog as well because it's good for them", she said. 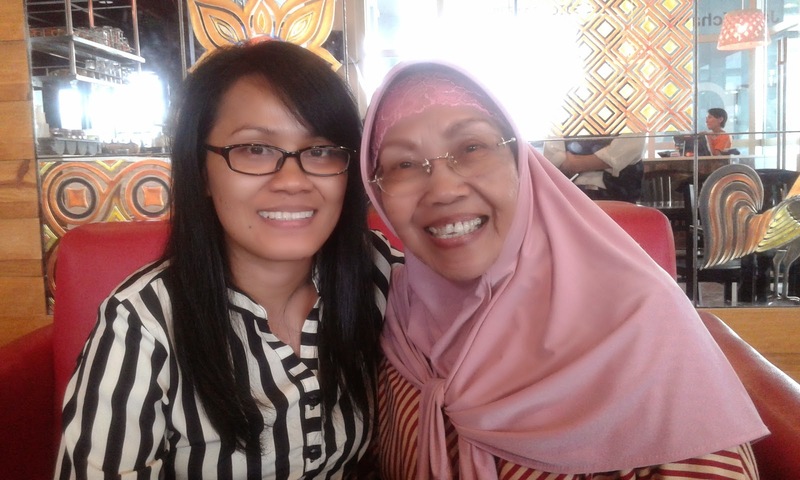 I'll see you again, Bunda. Walllaaa...thanks for writing on your blog about our friendship. Yes, we will see each other again, sometime. I thnk you have to make a slight mistake on spelling my name as "Yati" not "Yanti" ..........lol. (it's only on the title of your posting), the rest is oke. What a smart woman you are. Thanks to Anaz, who has arranged your visiting to meet me at my daughter's home. We are on the same boat named "the easy going person" .....lol again. @anaz: Ak dah dafter Naz. Kamu daftarrr ya Naz! @bunda Yati: oh, so sorry for the spelling mistake Bun! Yes, we'll see again soon! Thanks Irma for dropping by. Seneng ktemuan kmrn, iya sayang gak sempet cakap2 ya say. Next time kita harus cakap2 sambil ngelunch (pokoknya harus!) maksadotcom, hehe.